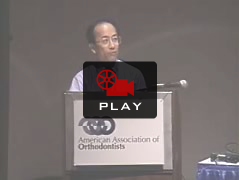 Dr. Adachi may be a little nervous on the big stage. 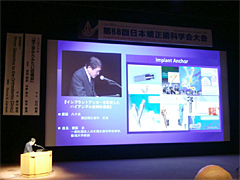 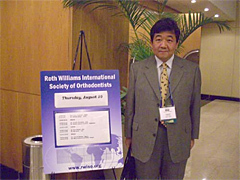 2003.5 Publication of Casebook "Roth Orthodontics"
Dr. Tateshi Hiraki was also a speaker at the same meeting. 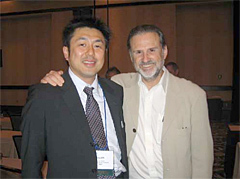 Dr. Koichi Misaki, speaker at Denver meeting, with Dr. Ayala. 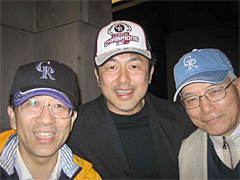 Satoshi, Koichi and Masaru happy with "CR" baseball caps during Colorado Rockies baseball game. 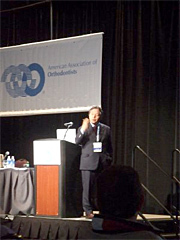 Dr. Kazumi Ikeda speaking passionately. 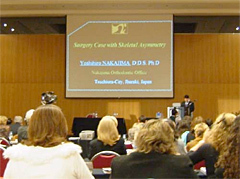 Dr. Yasoo Watanabe speaking at JOS meeting. 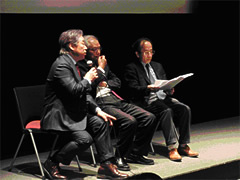 2010.3 Shofu Seminar "TMJ-First Orthodontics"
Q&A by the three speakers.